As we honor the past, Southern also looks to the future with great anticipation. Here is a sample of initiatives that will be taking shape in the coming months. We’ll begin offering academic advisement, and later, classes leading to degree programs, at Gateway and Housatonic Community Colleges. Our target audience here is not students who would already come to Southern, but the working parent who can’t leave Bridgeport, or the student who works full time and supports a family. It’s another way to put our mission of access and social justice into practice. Design is in process for a new home for the School of Health and Human Services, with construction projected to start in 2019. This $74 million project is fully funded by the state is a great vote of conﬁdence in our mission and the excellence of our oﬀerings in this ﬁeld. Our forthcoming Professional Doctorate in Social Work will be the first of its kind in New England, offering the specialization that is now required for advanced employment in this and other health related fields. Our new Utility Management program, is being hailed as a national model. A partnership with Gateway Community College and the Regional Water Authority, it provides utility companies facing a graying of the industry with critical succession planning and leadership development. Southern is about to go solar in a big way! 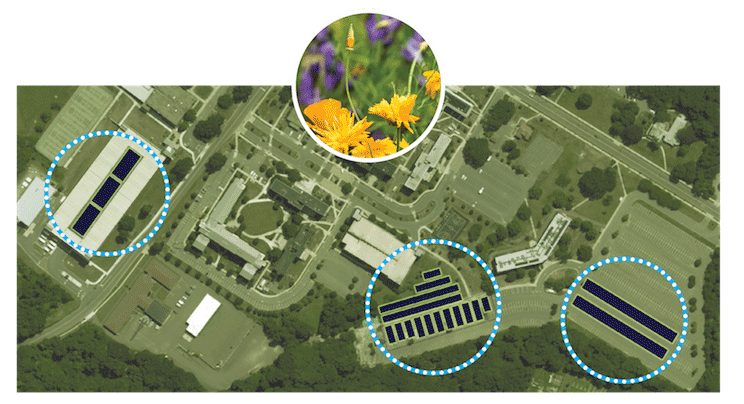 More than 3,000 solar panels with an annual generation capacity of one million kilowatts, will be installed on the west side of campus. There’s no capital investment or up-front cost and we’ll purchase the electricity generated by the panels at a significant discount compared with our current utility rates. On the academic side, we’re working on the launch of our ﬁrst joint master’s program — in coastal resilience — with Liverpool John Moores University, in England. With an accelerated MBA and several other proposals in the works, a portfolio of joint graduate degrees will make our collaboration unique in American higher education.